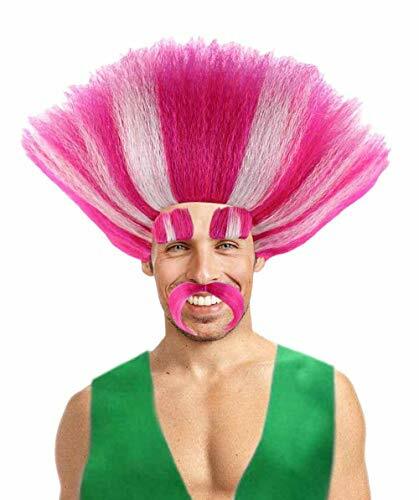 From the hit movie Trolls comes this very cool branch costume. 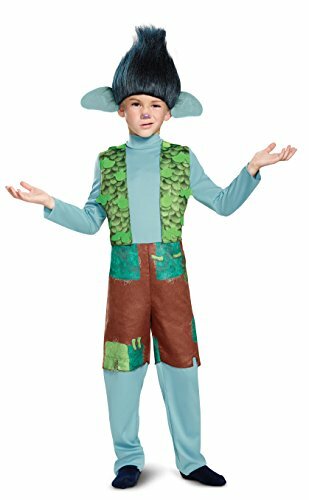 It comes with the wig, so boys will look just like their favorite Troll in this deluxe branch costume. From the hit movie Trolls comes this very cute Poppy costume. 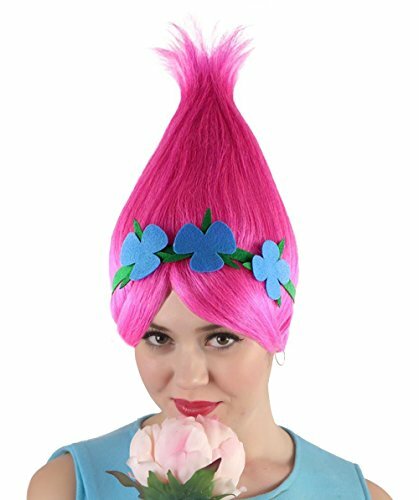 It comes with the headpiece with attached hair, so girls will look just like their favorite Troll in this Poppy costume. 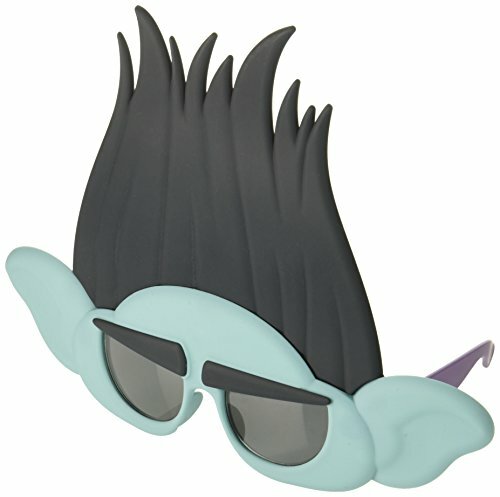 Save the day while laughing and singing with your fellow trolls in these Trolls Branch Sun-Staches! Sun-Staches provide 100% UV 400 protection and ultimate party fun. These one-size-fits-most sunglasses transform you into the star of the show; whether it’s a themed party, pop culture costume, or your favorite character. As seen on Shark Tank, these sunglasses are comfortable and perfect for adults and children of all ages! Sun-Staches can instantly transform anyone into the life of the party or the most interesting person at the supermarket. For the adults, it's the perfect way to bring out your inner kid-at-heart personality. For kids, it's a way to show off a favorite character or just have fun! Would you rather play a game of ultimate Frisbee with some boring guy without glasses or your neighbor who just happens to be wearing a leprechaun mask and having the time of their life? Our thoughts exactly. 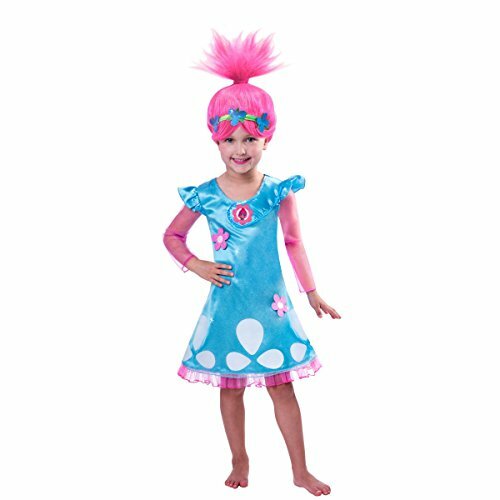 Material: 95% Polyester.and 3 pieces/package.Dress subject: The trolls costume cosplay for children girls is come from cartoon trolls .The costume cosplay is suitable for birthday party,Halloween and Christmas for girls.Wigs and necklaces are only one size, but they are suitable all for children to wear!Party bundle set :There are 1 dress, 1 wig and 1 necklace with every pack. 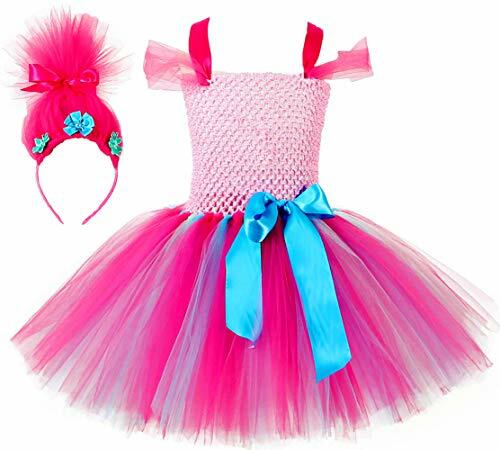 That means your child can have fun together at birthday parties, play dates, and picnic adventures.Wigs and necklaces are only one size, but they are suitable all for children to wear!Costume size:it has four size. "Small","Medium","Large",and "X-Large" .please choose size by the height. the height is 100-110cm please select "Small"; the height is 111-120 cm please select "Medium"; the height is 121-130 Please select "Large", the height is 131-140 cm Please select "X-Large". Dance to the music in your favorite dress, just like Poppy wore in the hit movie, Trolls! 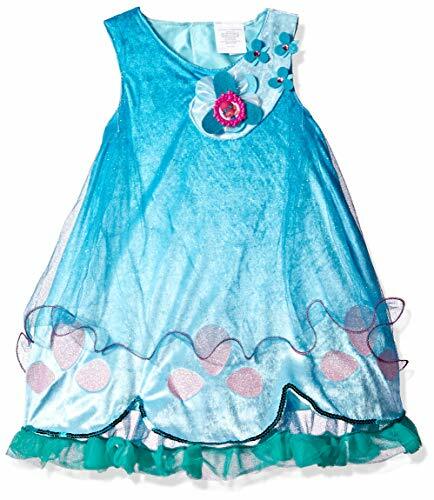 With beautiful flower embellishments, soft blue and pink lace trim and a luxurious velveteen fabric, your little one will show their true colors in this darling costume. Bring your favorite character to life and step into a world of music, fun and color with this sparkly recreation! Designed for comfort, soft lace trim will not itch sensitive skin for hours of imagination and fun. 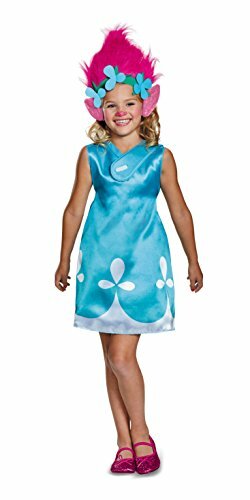 Comfortably fits most girls, sizes 4-6 and pairs beautifully with your favorite Trolls accessories and wigs. Okay guys here it is!! I'm a new YouTuber not the best at editing yet but I tried my best to explain how you can make this head piece for your little one! Enjoy!